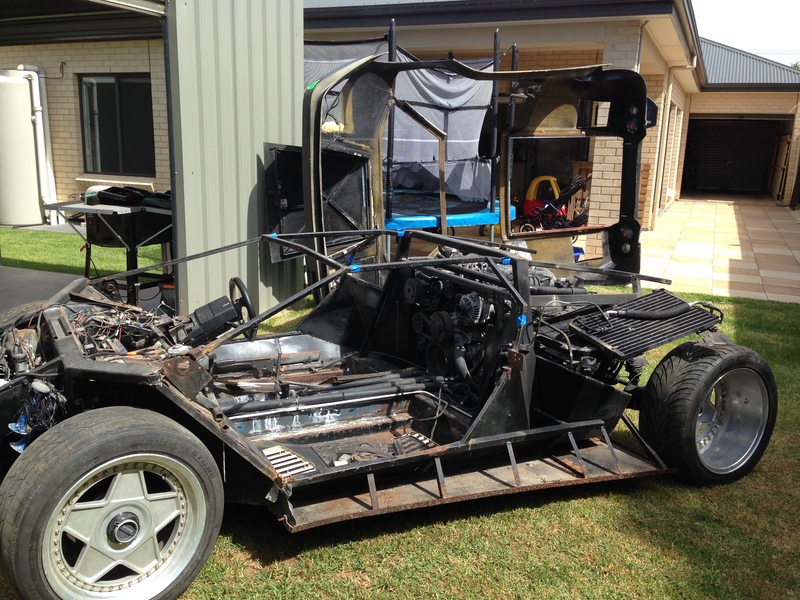 After playing a bit of Tetris with all my junk in the garage side of my man cave, I created enough room for my kit car to take up residence in there. 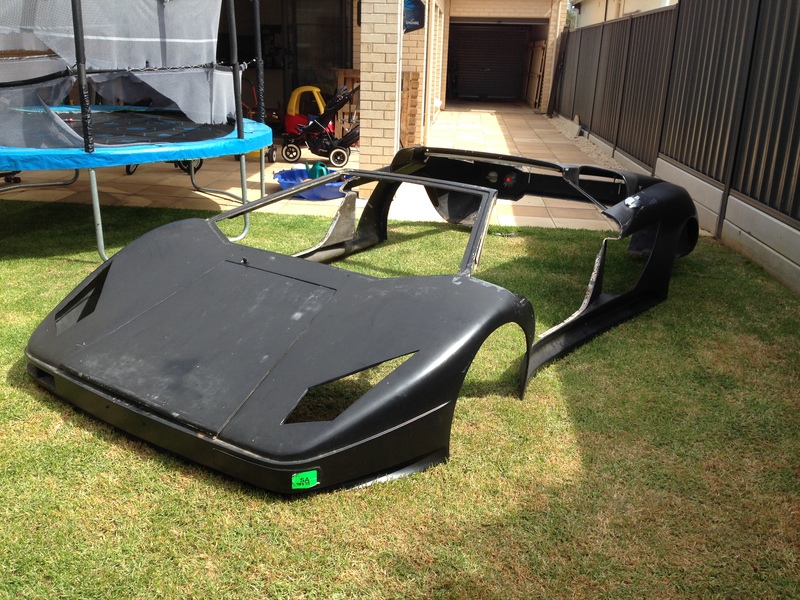 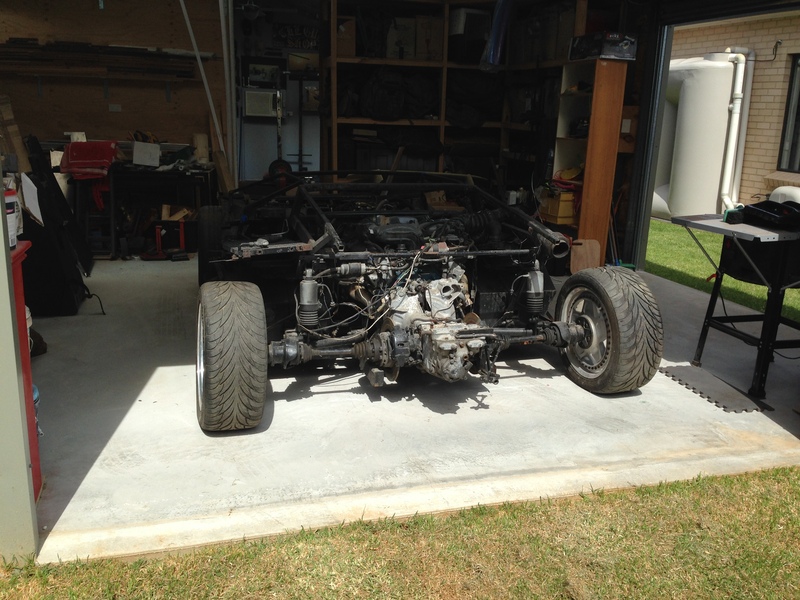 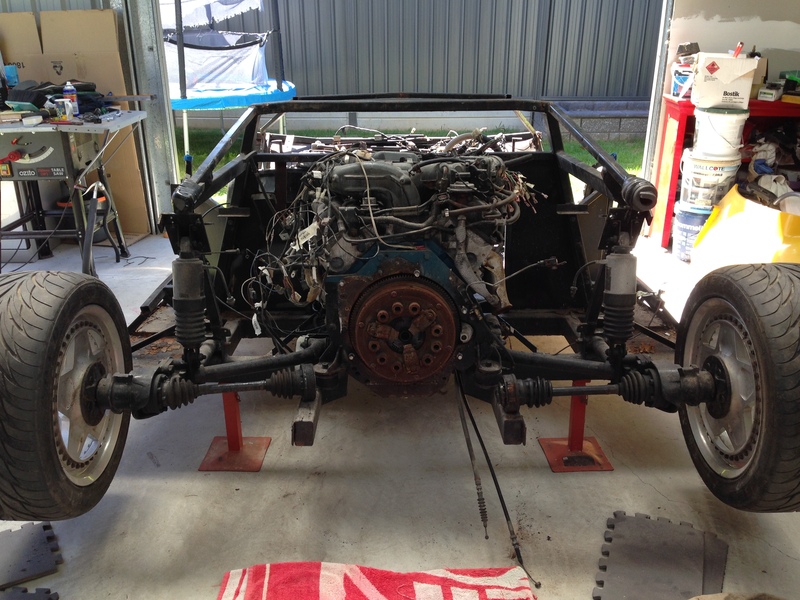 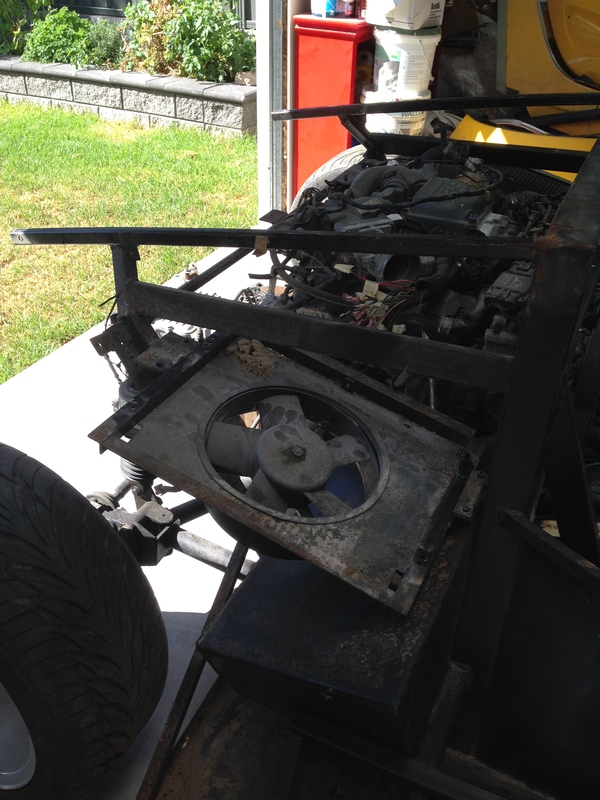 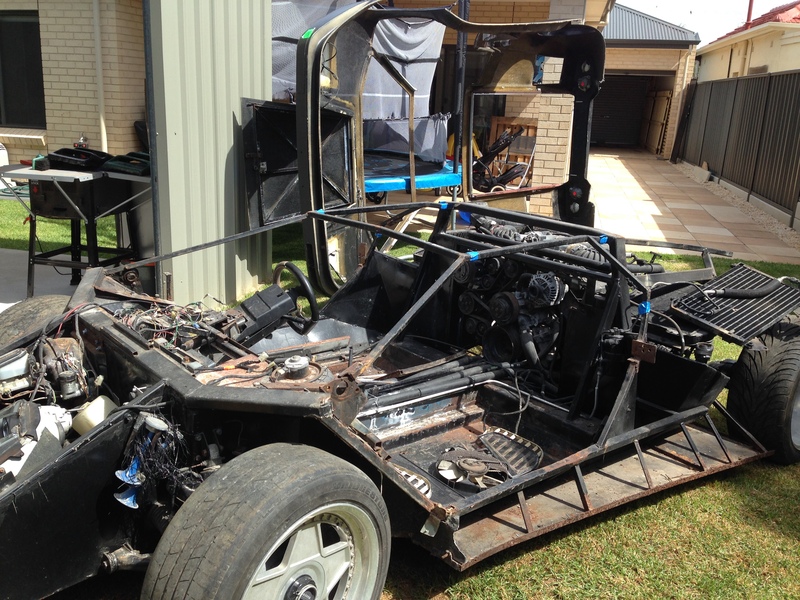 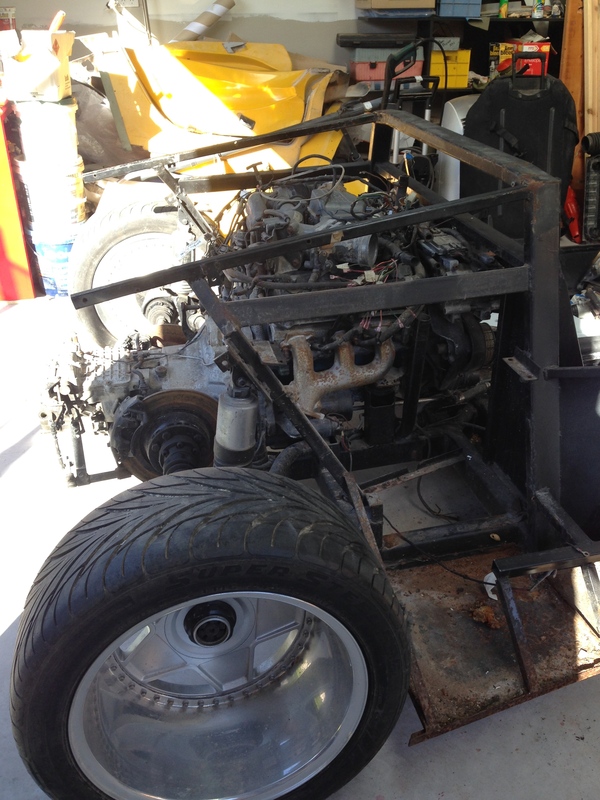 The first port of call was the back yard to give me enough space to separate the body from the chassis, which gave me a first good look at the condition of the space frame and mechanicals. 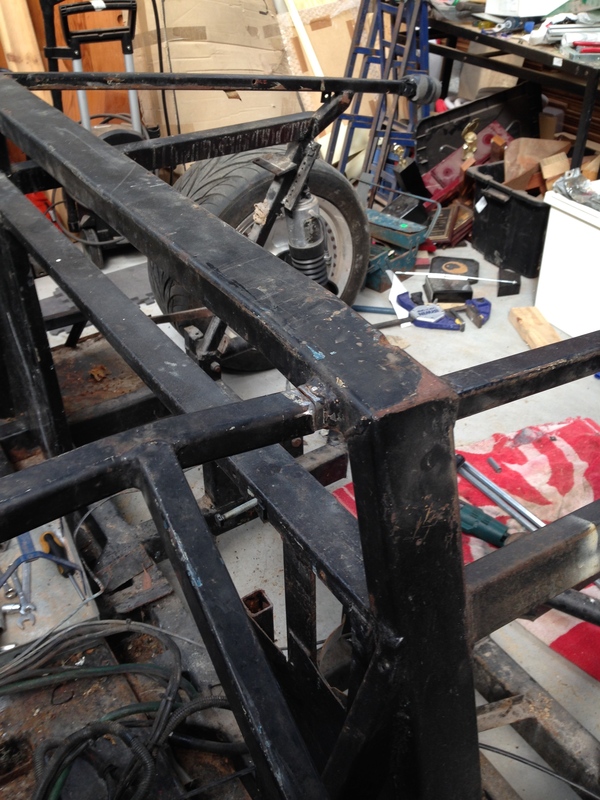 Whilst there is a decent amount of surface rust on the frame, it looks to be structurally sound. 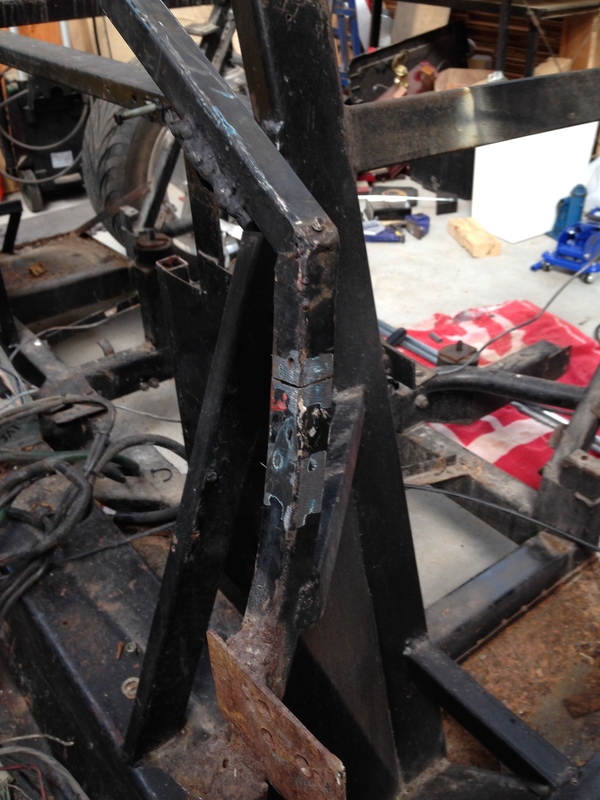 The blue tape on the cabin of the space frame is holding the pieces which had been previously cut out in place. 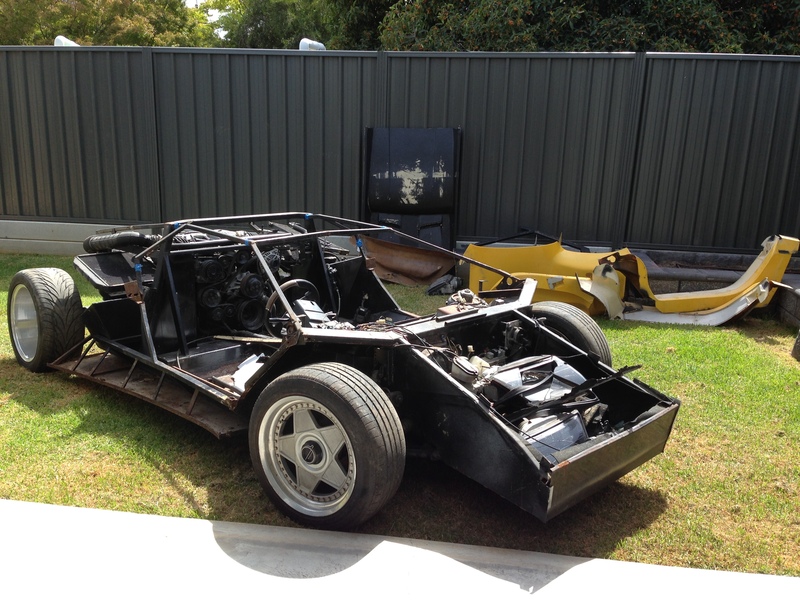 With the body removed the car fit nicely into the man cave, leaving enough room to work around it. 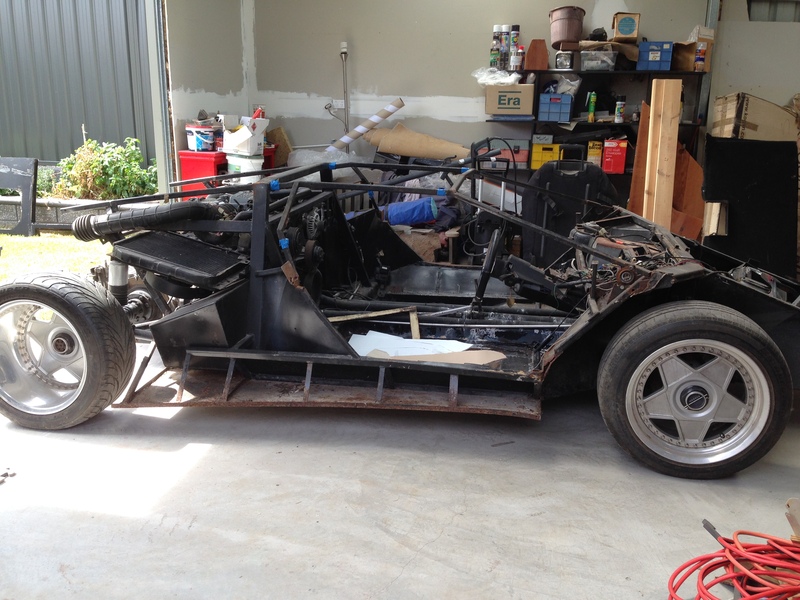 It was then time for the disassembly to begin. 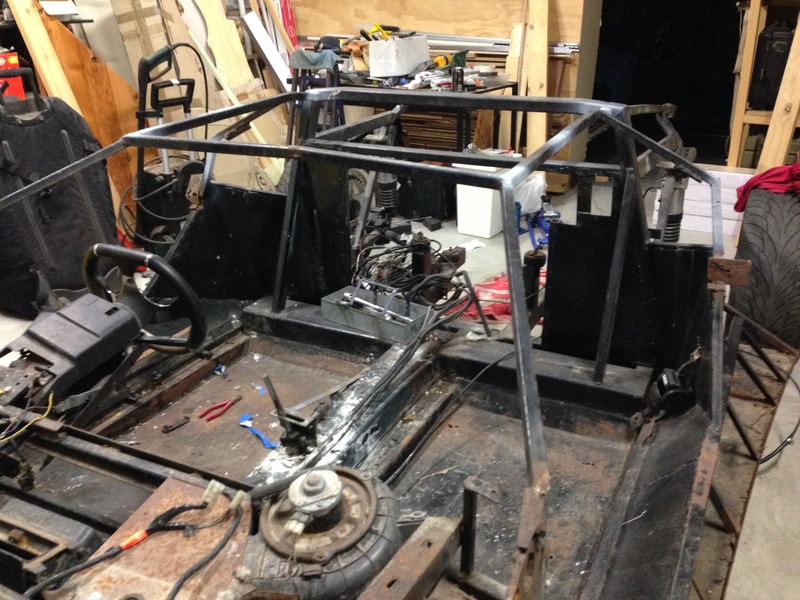 My plan is to tear the thing down to every last component and then build it up again from scratch. 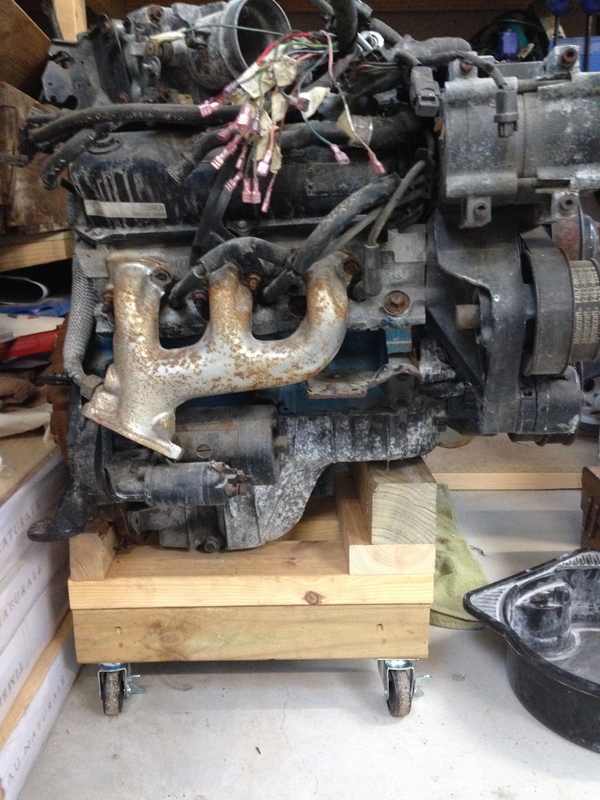 Given that I have no information on the condition of any of the components, and that it has been sitting for the best part of 20 years, I figure that every pretty much every bolt and hose will need replacing. 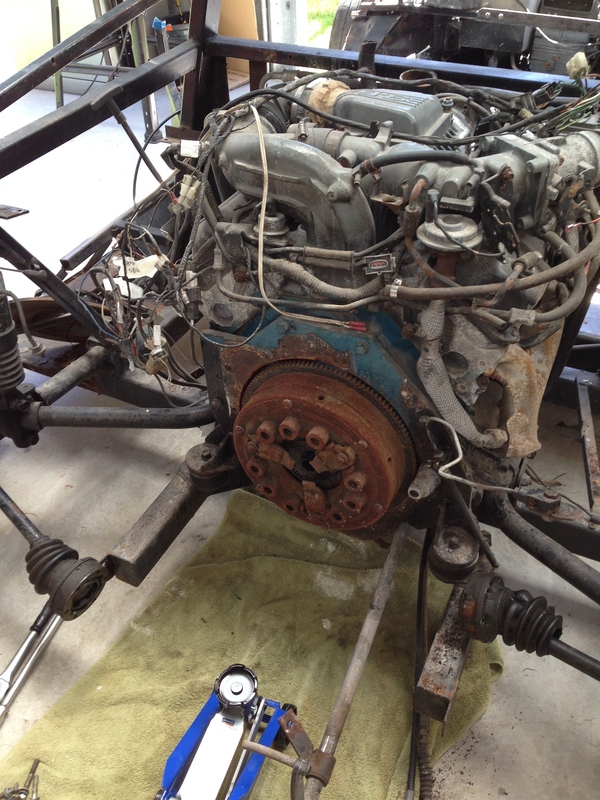 With the radiators and fuel tanks removed I had good access to the engine and gearbox for removal. 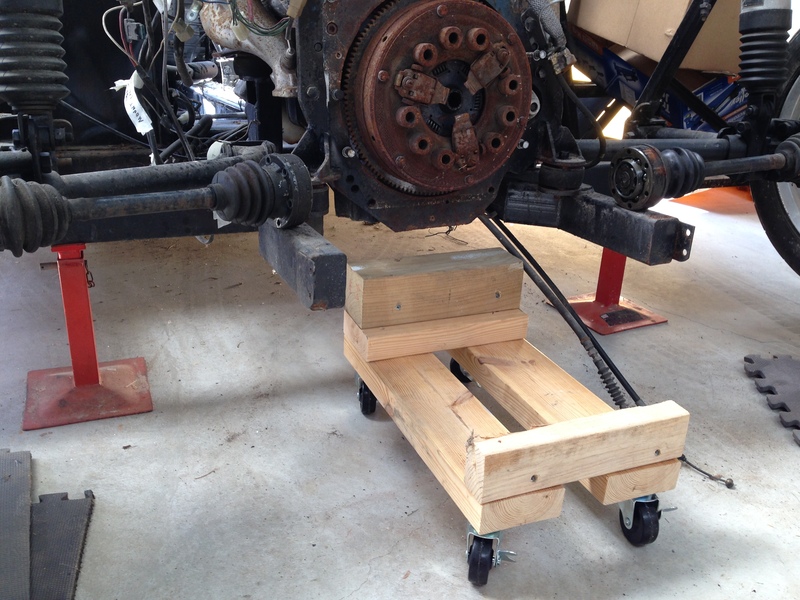 To remove the engine I created a wooden frame with wheels to support the engine. 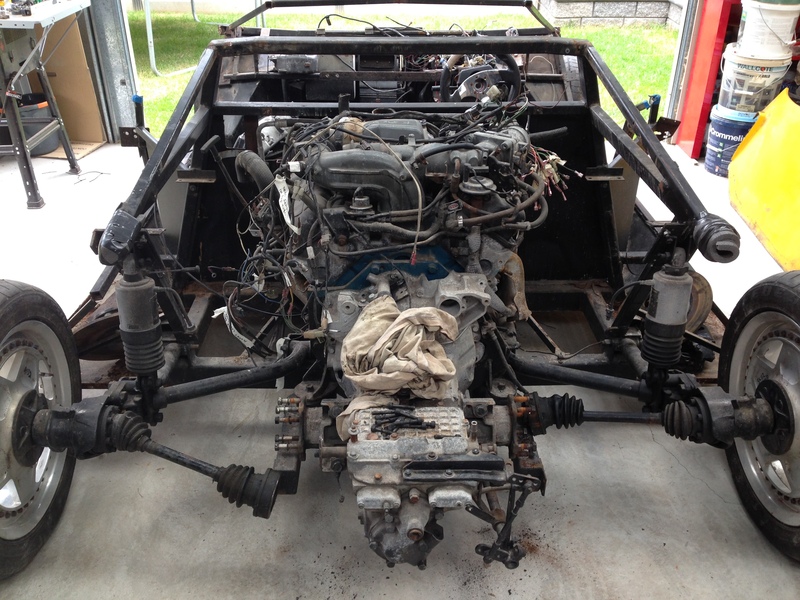 My plan was then to jack the whole rear of the car up, roll the frame under the engine, undo the engine mounts, and then lower the car, leaving the engine on the frame to roll out the back. 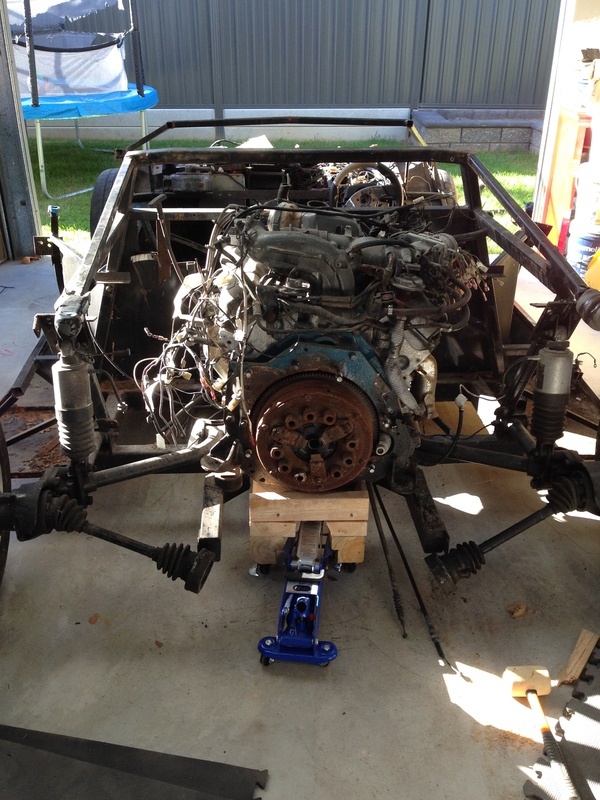 In practice it didn’t go exactly that smoothly, however did work out in the end allowing me to easily roll the engine away from the car for storage. 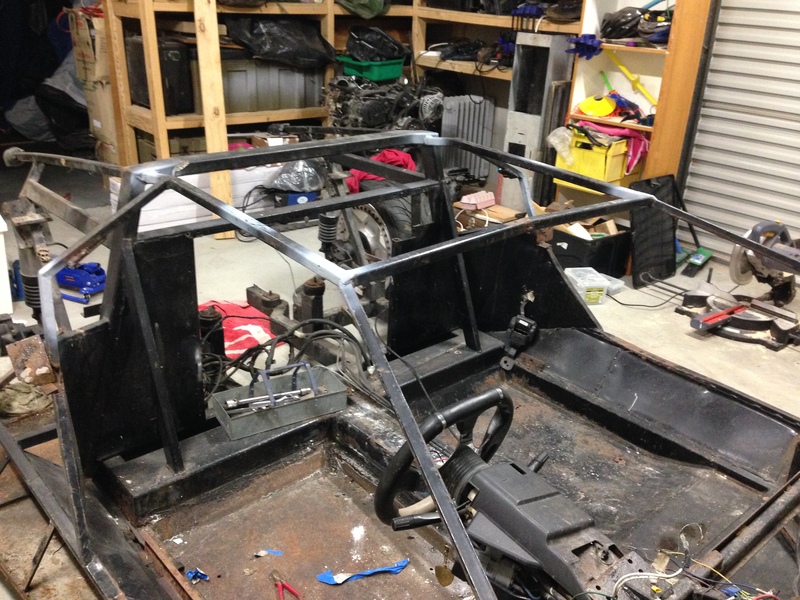 After stripping out a few more bits and pieces from the car the first major job was welding back on the sections of the space frame which had been cut by the previous owner to make it a convertible. 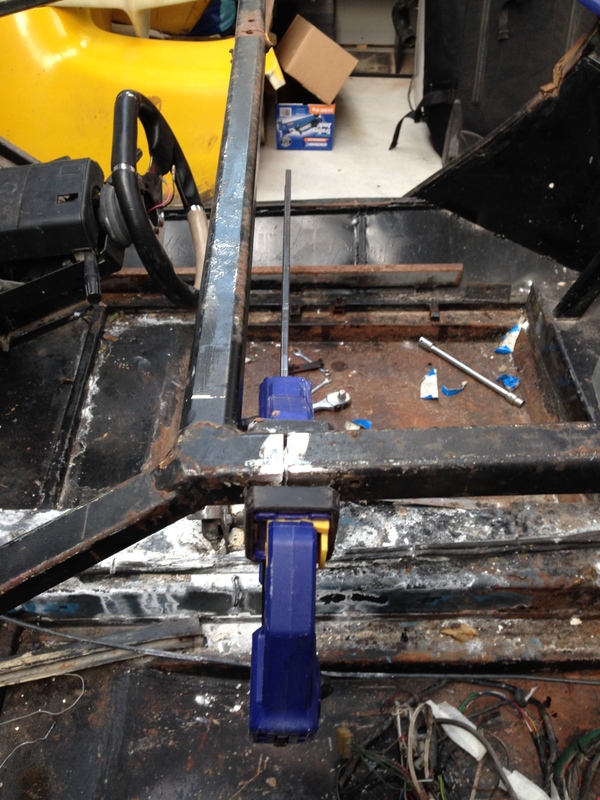 I cut some small sections of steel to fit within the box section to be welded, to give it some more structural rigidity, and then positioned the pieces for welding. 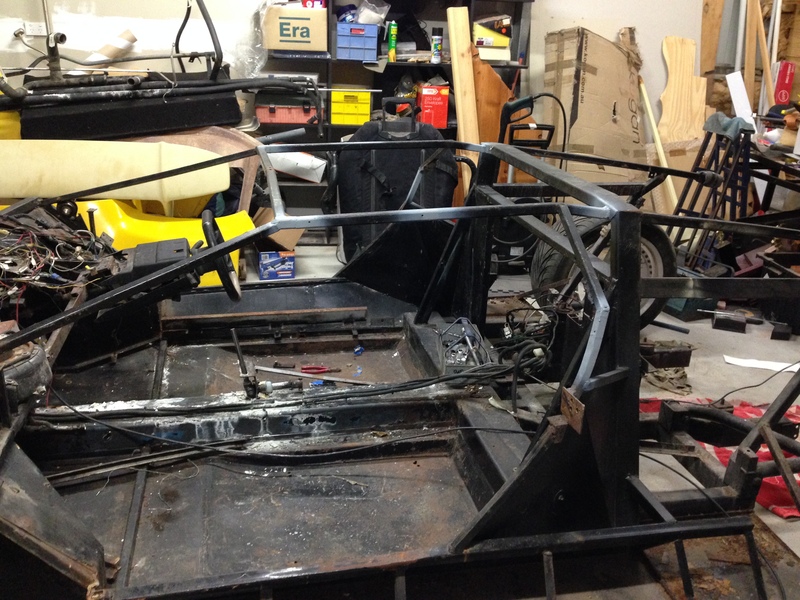 A bit of welding, grinding, and a coat of primer later, and the space frame was back to its original intended shape. 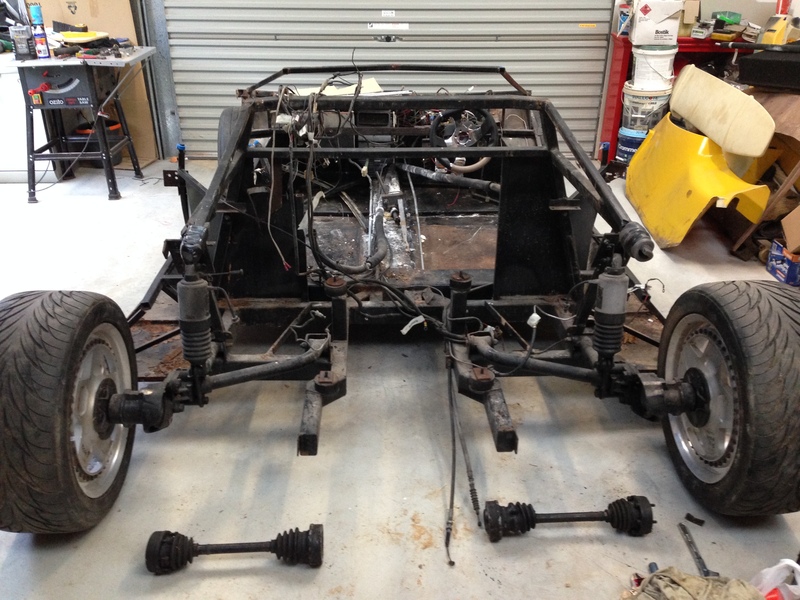 The next step from here will be to strip the frame back to a rolling chassis only and send it off for a good sandblast to get rid of all the surface rust before spraying it again.